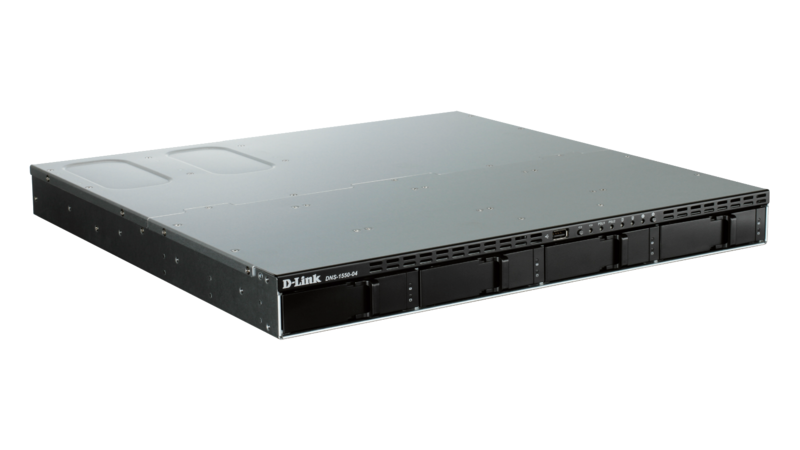 D-Link’s DNS-1550-04 is a 4-bay, 19’’ rackmount unified storage solution that enables users to safely share and back-up mission critical data. This NAS/iSCSI storage solution includes advanced features usually only found in higher-end devices: Snapshots, replication and data encryption are all included, with no need to purchase additional licenses. 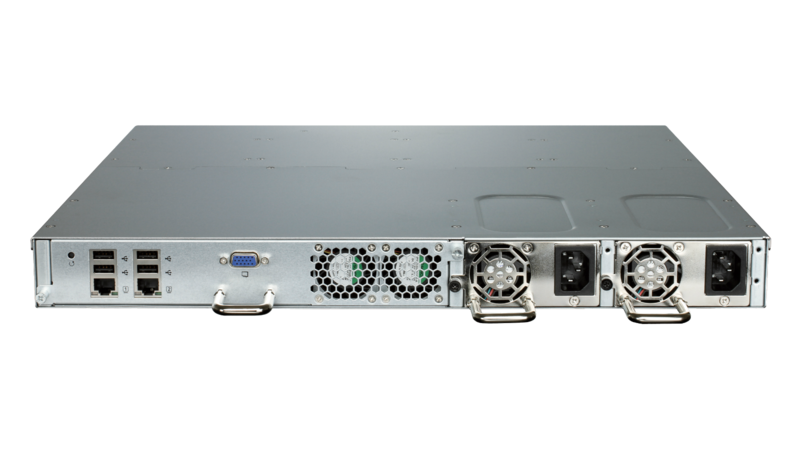 The DNS-1550-04 also includes an intuitive user interface to ensure it can be quickly installed, and easily managed, even by users with limited IT experience. Businesses will appreciate the NAS file server in the DNS-1550-04 which takes full advantage of the accelerated performance provided by iSCSI. The web file manager provides access to files stored on the NAS to users with the appropriate credentials. The DNS-1550-04 offers several backup options which allow administrators and users to control how, when, and where their data is stored. Share files across the network or over the Internet via FTP or access them via the easy-to-use web file manager. Remote back-up enables users to keep a copy of their files on a remote NAS for a disaster recovery solution, providing extra data protection, and volume snapshots can restore a whole volume in a matter of minutes; in contrast to traditional backup schemes that can take hours. Users can also take a volume snapshot, backup to Amazon S3 cloud storage, or remotely back up to a server by using an rsync backup utility. Many third-party backup solutions like Acronis Backup & Recovery are also supported. iSCSI offers exceptionally fast access performance thanks to block-level data transfer. iSCSI targets appear as a local drive on a client PC. Operations such as configuration, provisioning, and backup can be handled by the administrator in the same way they would be for directly attached storage. By utilising existing Ethernet technology, resulting in easier management, the total cost of ownership of storage can be greatly reduced. Account management features include the ability to manage users/groups and Read/ Write permissions. Create users, groups, and iSCSI targets with password authentication. 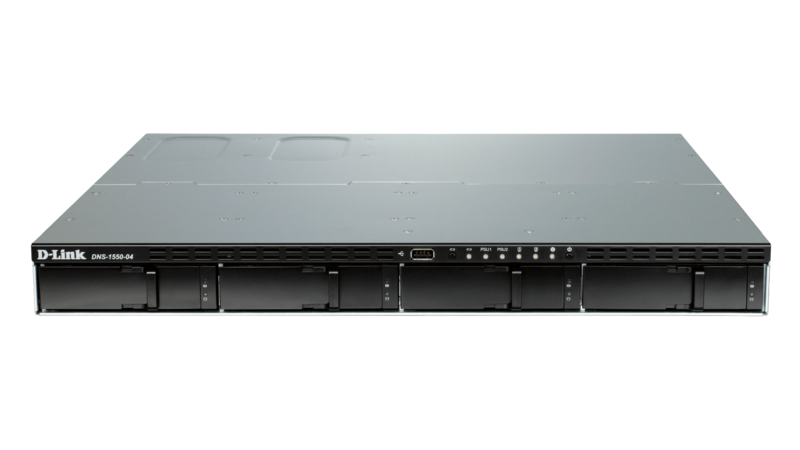 The DNS-1550-04 features 4 Serial ATA (SATA) disk drive bays supporting RAID level 0, 1, 10, 5, 6 or JBOD configurations. Administrators can quickly deploy a network storage solution using inexpensive SATA disk drives, and depending on storage needs, can add more drives as they go. Additionally, S.M.A.R.T. disk diagnostics help to ensure data integrity. Any hard drive problems that are detected can be dealt with by Predictable Data Migration (PDM) which moves data from an affected drive to a healthy drive to ensure data is not lost. The DNS-1550-04 has Massive Array of Idle Disks (MAID 2.0) technology which enables significant power savings. It does this by automatically switching off disk drives that are not in active use. The DNS-1550-04 is also 80 PLUS certified. 80 PLUS certification is granted to products that have more than 80% energy efficiency at certain levels of rated load. This enables the DNS-1550-04 to run more efficiently by using less electricity, allowing it to run at a cooler temperature and with reduced operating costs.